The number one hog attractant in the world! A granular beast attractant that smells and tastes like crushed berries and molasses. Use it to attract wild boar, deer or bear. 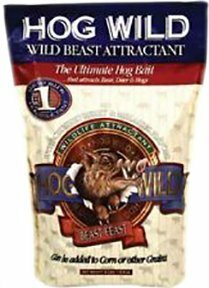 Use it to bait hog traps or just pour it into hog wallows where they will root for hours to consume every morsel. Hog Wild can be added to corn and used in feeders to attract deer.